4. Alborz Mountains, Iran The Alborz mountain range looms large on the horizon in the Iranian capital of Tehran, and can be accessed in an hour or so by car. There are two resorts of renown here, Dizin (71 kilometres from Tehran) and Shemshak (60 kilometres from the city). In Dizin the highest lift reaches 3600 metres, putting it in the top 40 in the world, while close by in Shemshak there are a number of lifts servicing two slopes with lights for night skiing. While both resorts date back decades and saw a lot of activity in the ’60s and ’70s, development pretty much ground to a halt after the revolution in 1979. But of late there has been new development happening. Après ambience: Absolutely non-alcoholic! 1. Mzaar, Lebanon Lebanon has some serious ski cred, with a total of seven resorts dotted around the Mount Lebanon region and a ski season that usually runs from December to April. Dating back to the 1920s, The Cedars is one of the oldest resorts in the country (its first chairlift was installed in 1953) catering to skiers and snowboarders of all levels, while Mzaar Resort is the most popular resort in the country with 80 kilometres of ski tracks and a staggering 40-plus slopes starting at 1850 metres and continuing up to 2465 metres. Zaarour is the closest resort to Beirut at just 90 minutes’ drive from the capital. Après ambience: Mzaar has a buzzing bar and restaurant scene or choose Zaarour so you can party Paris-style. 2. Tiffindell, South Africa According to CNN, Tiffindell has the 19th best ski run out of 100 in the world, with the ski season taking place from June to August. Located near the border of Lesotho (which also has skiing on the other side) on the slopes of Ben McDhui, the highest peak in Cape Province, at an altitude of 2720 metres, Tiffindell’s snow is either delivered by nature or man made with state of the art snowmakers, and covers a 60-metre-long beginner slope accessible by rope tow, a 1.3 kilometres main slope and the Gully Slope, with two long ‘button’ lifts servicing these. Après ambience: Ice Station 2720 is South Africa’s highest pub and officially party central in these parts. 3. 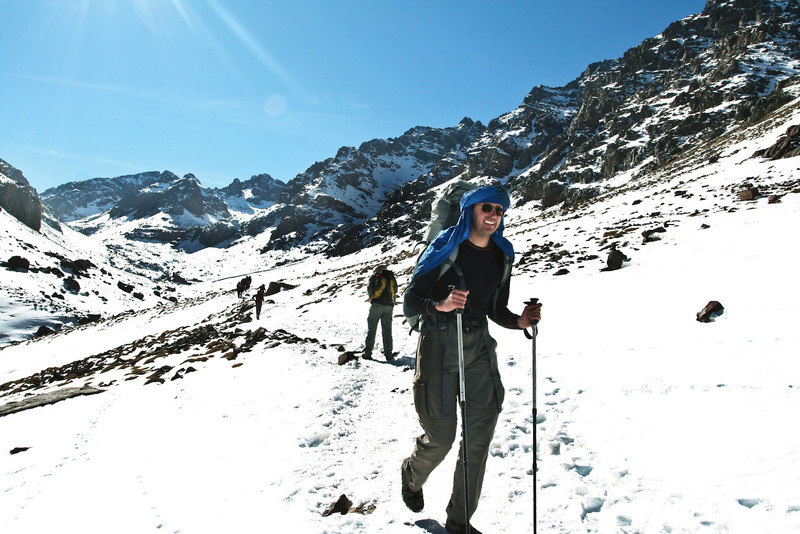 Oukaimeden, Morocco Just 45 kilometres from Marrakech in the High Atlas Mountains, Oukaimeden is North Africa’s highest ski resort, with the ski village sitting pretty at 2600 metres above sea level, and the chairlift reaching 3258 metres at the peak of Jebel Attar. There are five runs, complete with protruding boulders and moguls, so you need to have your wits about you, as well as nursery and intermediate slopes. The accommodation can be a bit hit and miss so it’s a much better idea to treat it as a day trip from the city, and then return at night to the medina and the luxury of your riad. Après ambience: Wildly romantic considering you’ll be in the Medina and not the mountains. 5. Puncak Jaya, New Guinea, Indonesia The highest mountain in Indonesia, at a breathtaking (literally) 5000 metres above sea level, Puncak Jaya is located in the western central highlands of Papua province. 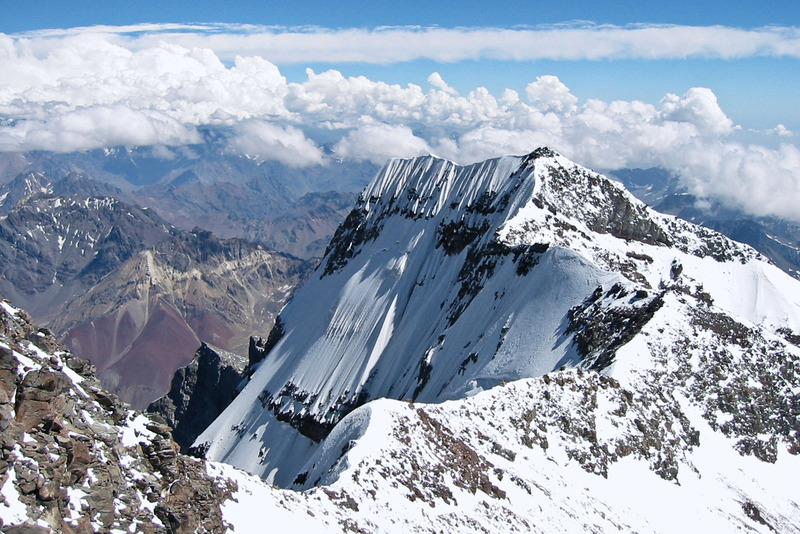 This is such a Boys’ Own ski destination that there is hardly any information on the place, but the best we can accertain is that the skiing here is done on glaciers – Northwall Firn, Meren Glacier, Carstensz Glacier and Southwall Hanging Glaciers. Whether or not you can ski here depends on the weather, with May to October as a best bet. There might be a few functioning ski lifts on Meren Glacier, but then again there might not. Sounds promising, right? Après ambience: You’ll be lucky to make it there at all so don’t go looking for bars and nightlife. Who knew you could ski here? We were so preoccupied with Beirut being the Paris of the Middle East that we didn’t realise the mountains were the Courchevel. 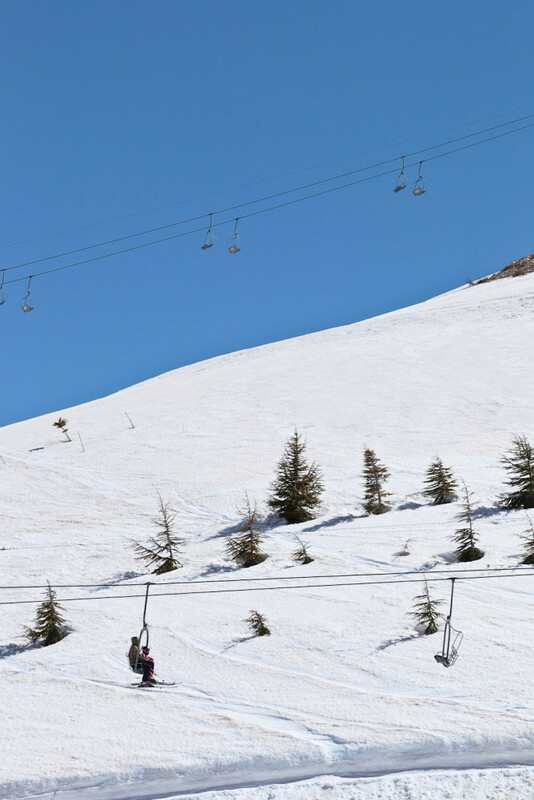 Lebanon has some serious ski cred, with a total of seven resorts dotted around the Mount Lebanon region and a ski season that usually runs from December to April. Dating back to the 1920s, The Cedars is one of the oldest resorts in the country (its first chairlift was installed in 1953) catering to skiers and snowboarders of all levels, while Mzaar Resort is the most popular resort in the country with 80 kilometres of ski tracks and a staggering 40-plus slopes starting at 1850 metres and continuing up to 2465 metres. Zaarour is the closest resort to Beirut at just 90 minutes’ drive from the capital. Mzaar has a buzzing bar and restaurant scene or choose Zaarour so you can party Paris-style. We were so busy tracking the Big Five across the savannah that we didn’t even notice there were mountains here let alone snow. According to CNN, Tiffindell has the 19th best ski run out of 100 in the world, with the ski season taking place from June to August. Located near the border of Lesotho (which also has skiing on the other side) on the slopes of Ben McDhui, the highest peak in Cape Province, at an altitude of 2720 metres, Tiffindell’s snow is either delivered by nature or man made with state of the art snowmakers, and covers a 60-metre-long beginner slope accessible by rope tow, a 1.3 kilometres main slope and the Gully Slope, with two long ‘button’ lifts servicing these. Ice Station 2720 is South Africa’s highest pub and officially party central in these parts. We were distracted by the souqs and how many pairs of sandals/kilim rugs/leather poufs to take home. 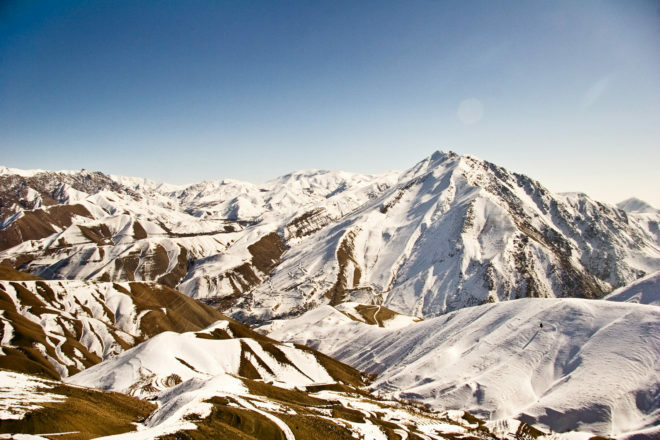 Just 45 kilometres from Marrakech in the High Atlas Mountains, Oukaimeden is North Africa’s highest ski resort, with the ski village sitting pretty at 2600 metres above sea level, and the chairlift reaching 3258 metres at the peak of Jebel Attar. There are five runs, complete with protruding boulders and moguls, so you need to have your wits about you, as well as nursery and intermediate slopes. The accommodation can be a bit hit and miss so it’s a much better idea to treat it as a day trip from the city, and then return at night to the medina and the luxury of your riad. Wildly romantic considering you’ll be in the Medina and not the mountains. When we think of the Middle East we think of sand and heat not snow and cold. The Alborz mountain range looms large on the horizon in the Iranian capital of Tehran, and can be accessed in an hour or so by car. There are two resorts of renown here, Dizin (71 kilometres from Tehran) and Shemshak (60 kilometres from the city). In Dizin the highest lift reaches 3600 metres, putting it in the top 40 in the world, while close by in Shemshak there are a number of lifts servicing two slopes with lights for night skiing. While both resorts date back decades and saw a lot of activity in the ’60s and ’70s, development pretty much ground to a halt after the revolution in 1979. But of late there has been new development happening. It’s part of a country better known for its surfing. The highest mountain in Indonesia, at a breathtaking (literally) 5000 metres above sea level, Puncak Jaya is located in the western central highlands of Papua province. 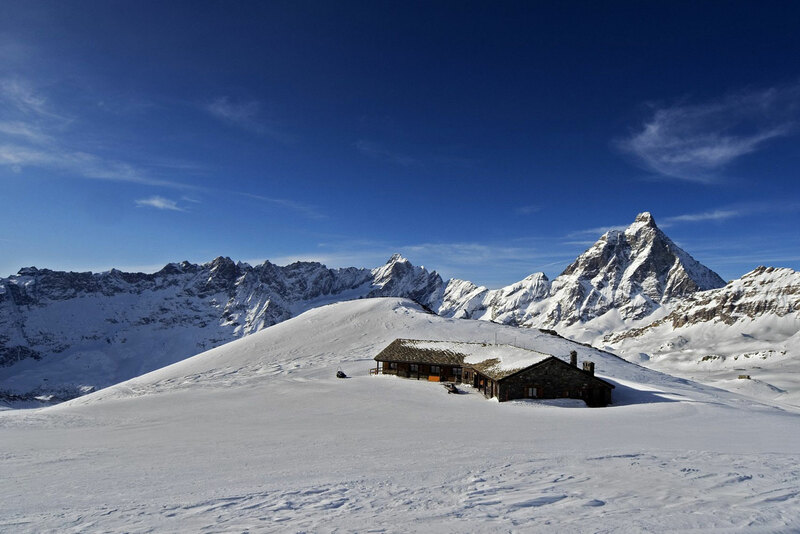 This is such a Boys’ Own ski destination that there is hardly any information on the place, but the best we can accertain is that the skiing here is done on glaciers – Northwall Firn, Meren Glacier, Carstensz Glacier and Southwall Hanging Glaciers. Whether or not you can ski here depends on the weather, with May to October as a best bet. There might be a few functioning ski lifts on Meren Glacier, but then again there might not. Sounds promising, right? You’ll be lucky to make it there at all so don’t go looking for bars and nightlife.